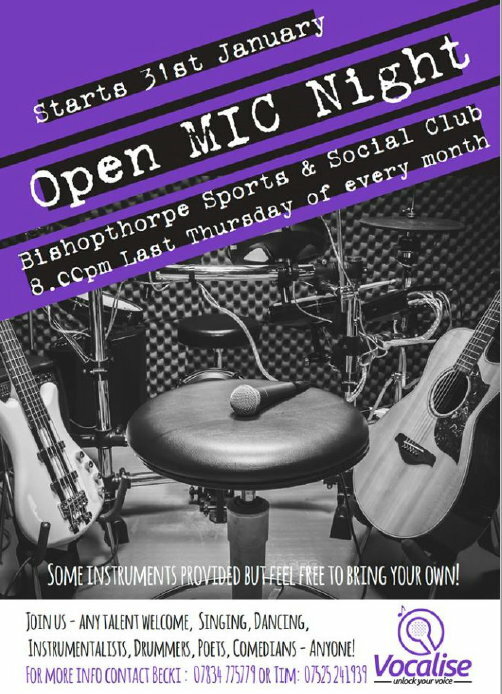 It starts on Thursday 31st January, and then on the last Thursday of every month at Bishopthorpe Sports & Social Club. Come along and show what you’ve got – singers, dancers, instrumentalists, drummers, poets, comedians… whatever. Anyone welcome. Some instruments provided but feel free to bring your own. 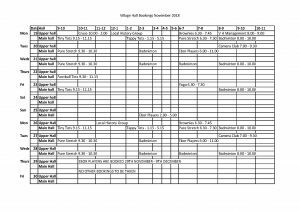 Note that Service 21 Colton-Bishopthorpe-Tesco-York has no Sunday Service. The above information refers to services between Bishopthorpe and York operated by First Bus. See the City Council website for details of other routes, e.g. Park and Ride or to verify the above info. Recently we have had a number of reports of suspicious white vans driving around looking for scrap metal in Bishopthorpe and surrounding areas. Several reports suggest that the drivers of these vehicles are actually accessing gardens and trespassing on land without the owner’s permission. We ask that you report such incidents and also take a note of any vehicle registrations and descriptions. It may be worth reviewing your out-building security and home security in the run up to the Christmas period and darker nights. Your local Police team are patrolling the rural parts of York such as Bishopthorpe and Copmanthorpe, so please say hello to the officers. We can offer free home crime prevention advice along with property marking services. We are looking for any nominees people feel would be deserving of being recognised for the work they contribute to the community. The Youth Award scheme was created to recognise the good things that young people in the village do – particularly for others. The scheme has run each year since 2001. Two awards of £150 are made each year to young people aged 11 to 18. The closing date for nominations will be 12 December 2018 and further details will appear in Link nearer the time and on posters around the village. 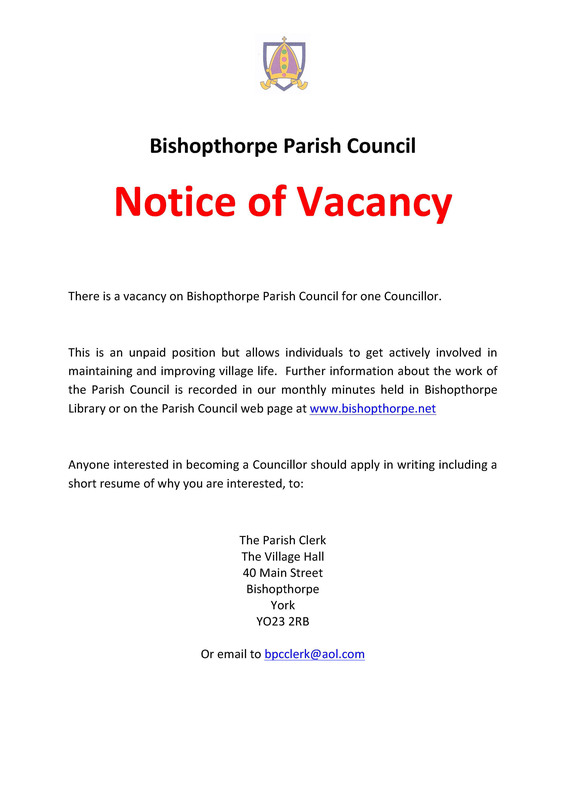 The Parish Council Clerk, Bishopthorpe Village Hall, Main Street, Bishopthorpe. Coffee Mornings are on Wednesdays. 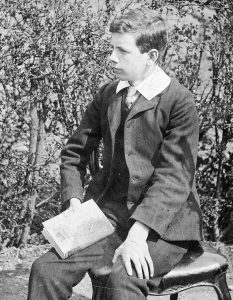 As we proceeded through the years 2014 to 2018, I published the names of the fallen from Bishopthorpe in both Link and Bishopthorpe dot net in the month which marked the centenary of their deaths. Now that we have reached 11th November, 2018, I have two further men to remember. However, neither of the men died in the few remaining days of war up to 11th November, 1918, but I believe it is appropriate to remember them on this day. As well as spending a few moments thinking of these men and their families, I hope that you find the details of some interest. Killed in action, aged 23, on 27 April, 1915, during the Second Battle of Ypres. He is commemorated on the Menin Gate Memorial to the Missing in Ypres. 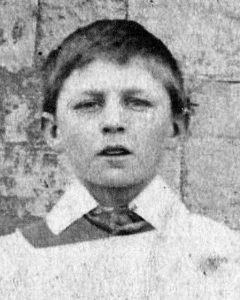 I did not publish the centenary of Second Lt. Dunnington-Jefferson’s death in 2015 because I only became aware of his connection with Bishopthorpe in 2018. Private, No. 52321, East Lancashire Regiment. Died of illness, aged 55, on 25 January, 1946, at High Royds Psychiatric Hospital, Menston, West Riding, Yorkshire. Buried in Hunslet New Cemetery, Section 4a, Inscription Grave No. 755. 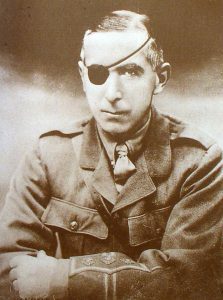 Daniel Fountain was admitted to hospital in the early 1920s after suffering from a mental illness attributed to his service with the army during the war. He spent 23 years in the hospital and died in 1946 after the Second World War. A derelict piece of land on the edge of Ferry Lane is to be transformed into a community orchard for everyone to enjoy. Bishopthorpe Parish Council has secured Heritage Lottery funding for this project, which is being run by local volunteers, but the project needs extra help from villagers to make it happen. The newsletter gives more information about the project, and suggests ways people can get involved and help it all come to fruition. As well as hoping for some practical help, the team are also keen to hear from people with memories of the old orchards and market gardens of Bishopthorpe, and from anyone with old fruit trees that might turn out to have an interesting history. You can contact the project team by email to bishorchard@yahoo.com or phone Morwenna Christian on 07563 798408. More news will be published as the project moves on, so remember to check back here for all the details. All items will be on the News pages, tagged with Orchard so you’ll be able to find related pages quickly. The Children’s Society Coffee Morning takes place on Saturday, 3rd November in St Andrew’s Church Hall, 10:30 to 12:30. In addition to tea, coffee, and cakes there will be bric-a-brac and children’s items for sale, as well as face-painting, a raffle, and chance to find out about the Junior Bake Off competition. 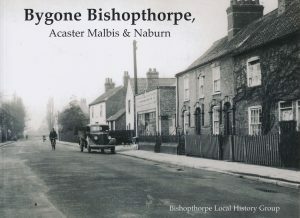 The Local History Group will also be present, selling copies of Bygone Bishopthorpe, and The Lost Men of Bishopthorpe. Last year, Ken Haywood published his book, The Lost Men of Bishopthorpe, about the lives – and deaths – of the men on the local War Memorial from both conflicts. In a talk at Bishopthorpe Methodist Hall, Ken will be concentrating on the men who served during the First World War. In doing so, he will describe some of the problems he encountered and use practical examples which, in turn, may help with your own WW1 ancestry research. The talk starts at 7.30pm at Bishopthorpe Methodist Hall on Tuesday, 16th October 2018. Hosted by Bishopthorpe Local History Group. Free to members. Non-members welcome: £3.50, including light refreshments. Acting Sergeant, No. S4/252266, Royal Army Service Corps. Died exactly one hundred years ago of cholera on 15 September, 1918, aged 23, in Mesopotamia (present day Iraq). Buried in Baghdad North Gate War Cemetery, Grave No. XVIII. L. 15. Able Seaman, No. R/4647, Royal Naval Volunteer Reserve, serving with Hood Battalion, Royal Naval Division. 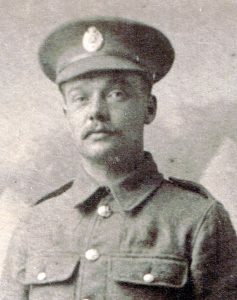 Frank died one hundred years ago today on 13 September, 1918, aged 25, in British Red Cross Society No. 8 Stationary Hospital Wimereux, Boulogne, from wounds received on 21 August, 1918. Buried in Terlincthun British Cemetery, Wimille, near Boulogne, Grave No. III. E. 30. Bishopthorpe abounds with many unusual and curious stories. Did you know, for example, that after the Second World War, Bishopthorpe used to organise large ‘Open Shows’ which attracted great numbers of exhibitors and thousands of spectators? The coconut-shy was a huge attraction as coconuts were a treat rarely seen since before the war. Did you also know that, following the snow storms of 1947, the great thaw caused a house boat to be stranded in the middle of a field? 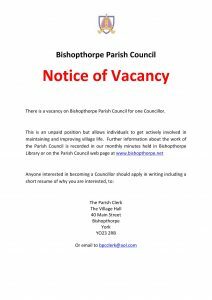 This left Bishopthorpe Parish Council with a headache which lasted for several years! Finally, did you also know that, in 1842, numerous people crossed the river by the Bishopthorpe ferry to reach a prize fight on the Fulford shore? The vicar’s curate helped to get two policemen across the river from the vicarage lawn. Unfortunately, the constables were then assaulted while trying to break up the crowd. All kinds of stories were discovered while researching the late Robin Hill’s Bishopthorpe photographs which were taken during the 1940s and early 1950s. Robin ventured into Acaster Malbis and captured a few scenes there as well as aiming his lens across the river towards Naburn. He also enjoyed collecting old postcards of the area. 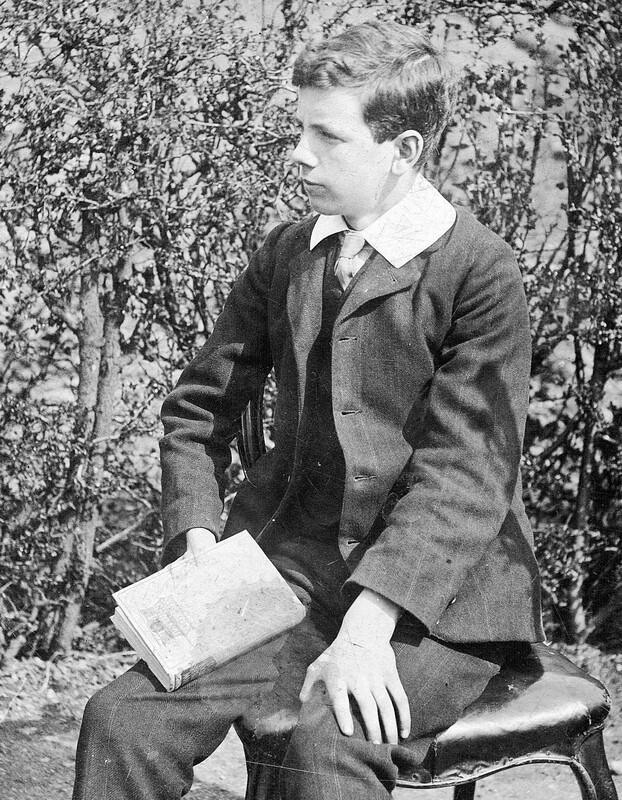 Robin (1924 – 2004) lived in Myrtle Avenue, Bishopthorpe, and attended the local school. He married in 1956 and, four years later, left with his wife Barbara to work at the Edinburgh City Museums. Scottish publisher Richard Stenlake unearthed Robin’s two albums of photographs and postcards and asked members of Bishopthorpe Local History Group to research some of them and write up the many intriguing stories which lay behind the images. 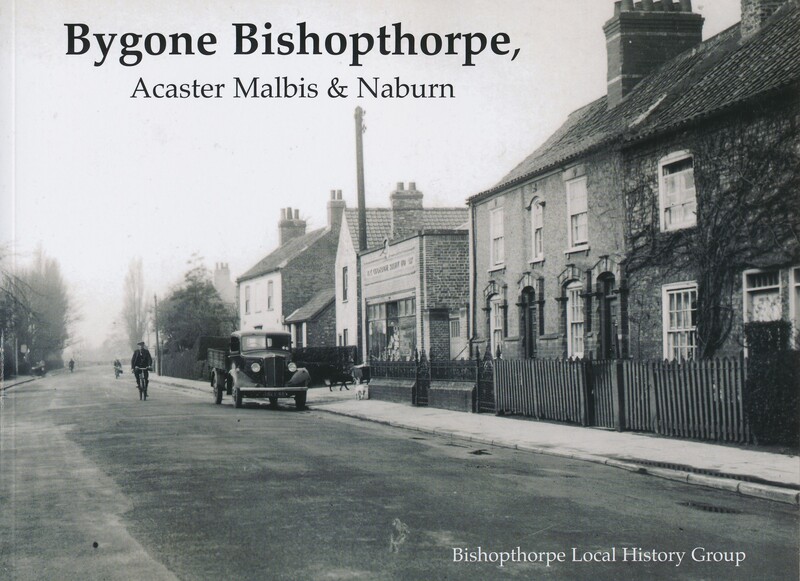 The resulting book, Bygone Bishopthorpe, Acaster Malbis & Naburn, has recently been published and is available at York bookshops. Available in Bishopthorpe at Bishopthorpe Library or Bishopthorpe Community Archive (on Monday afternoons, upstairs at the Village Hall, 2.30 – 5.00pm). Price £10.95. Also available in York bookshops: Waterstones in Coney Street; the little apple bookshop in Petergate; Fossgate Books in Fossgate. If you are not local, copies can be bought by post from Linda Haywood, 39 Acaster Lane, Bishopthorpe, York YO23 2SA. Cheques made payable to Bishopthorpe Local History Group. Price £10.95. Please add £2.00 post & packing. This evening, 1 August 2018, there have been several attempt thefts of motorcycles around the city centre of York and one motorbike stolen. Two suspects have been seen in the area both white males approximately mid to late teens wearing all black clothing. One suspect was carrying a motorcycle helmet and the other wearing a baseball cap. The targeted vehicles were all of the 125cc off road style motorcycles without locks. Please use heavy duty motorcycle locks should you be leaving your motorcycles unattended.